Clarksville, TN – The journey from the page to the stage does not always follow an established route: sometimes a new path must be forged. 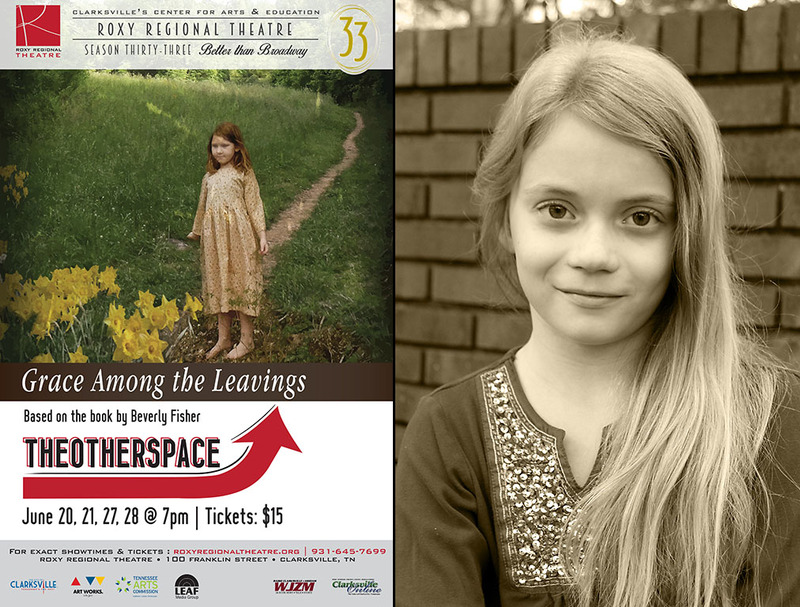 Following months of adapting, rewriting and workshopping, Beverly Fisher’s Civil War novella “Grace Among The Leavings” completes its journey to the stage of the Roxy Regional Theatre‘s theotherspace with four staged readings, June 20th – June 28th. Originally adapted to the stage by Dennis Darling and Kari Catton and produced by Theatre in the Park in Lincoln’s New Salem State Historic Site in Illinois, “Grace Among The Leavings” underwent further adaptation this past year by Roxy Regional Theatre co-founder and artistic director John McDonald. “Grace Among The Leavings” stars Ava DoVanne as Grace. With the assistance of dramaturg Sidney McCarty and fellow workshop students Lauren Mund, Emma Petrie, Truman Jepson, Georgia Smith, Madeline O’Connor and Jesse Boyle, the endeavor resulted in a condensed script more suited to smaller casts. Remaining true to the original text, “Grace Among The Leavings” follows the deeply moving story of eleven-year-old Grace Meadows and her family’s heartbreaking struggle to survive in the midst of the Civil War. Speaking with the wisdom of innocence, Beverly Fisher’s young protagonist confronts the tragedy and issues of slavery, the privileges of class, and the sacrifices made to escape the tension, confusion and contradictions of war. This summer’s premiere of the new adaptation features Ava DoVanne as Grace, along with Jesse Boyle, Marlon Cuevas, Jacob Johnson, Sidney McCarty, Robert Mullen, Lauren Mund, Lillie Rich, Aidan Sartor, Tristan Sartor, Georgia Smith, Jewel Stewart and Austin Stewart, accompanied by Stephanie Taylor of acoustic instrumental group Red River Breeze on hammered dulcimer. 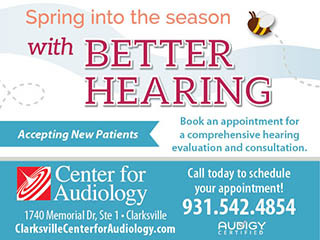 Beverly Fisher, a graduate of Gallatin High School, the University of Memphis and Vanderbilt Law School, was a staff attorney for Legal Aid Society of Middle Tennessee for many years before going into private practice in Nashville and in Clarksville, focusing on Social Security Disability cases. Fisher’s first published book of fiction, “Grace Among The Leavings” is based in part on observations of her grandparents’ Sumner County, Tennessee, farm and her grandfather’s stories of his Civil War ancestor. The novella was published in September 2013 by Clarksvillian Shana Thornton of Thorncraft Publishing. The novella and all scripts were edited by Kitty Madden. Fisher will be on hand to sign copies of her novella before and after performances. Recordings by Red River Breeze will also be available. “Grace Among The Leavings” is presented in theotherspace, the 50-seat black-box theatre located upstairs at the Roxy, and plays at 7:00pm on June 20th, 21st, 27th and 28th.